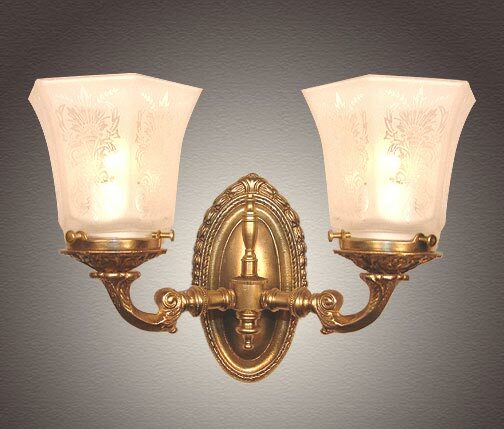 An interesting vintage gas light design, this two light wall sconce offers plenty of light and a lovely feel. Solid cast brass construction hexagonal French acid etched glass globe. An added cast brass bobeche (plate) under each of the glass shade holders adds depth. Mount it up or mount it down. Width 10 In. / Projection 7 In. / Depth 9 In.